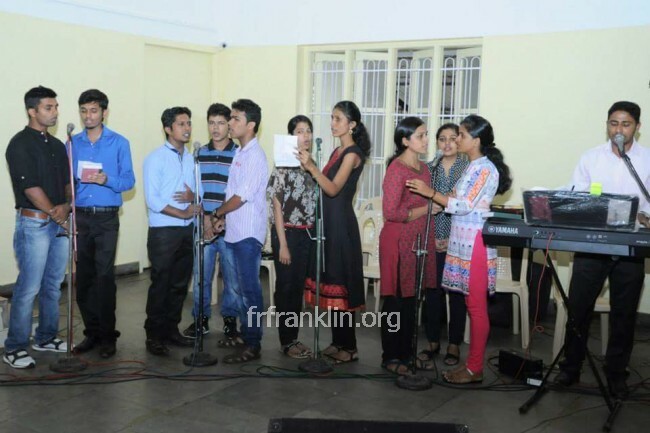 The 68th general body meeting and the new central committee election of ICYM diocese of Mangaluru was held on July 5th 2015 at Bijai Church hall. Alwyn Dsouza of Agrar parish, was elected as the president of the central council .He defeated his counterpart Viyon Vegas of Vitla parish by a very narrow margin of 6 votes.Members from 95 affiliated units Mangalre Diocese casted their votes. The day began with a holy Eucharistic celebrations with Rev Fr Franklin D’souza ,The National youth director of ICYM,being the main celebrant.It was followed by the annual general body meeting conducted by Melreeda Rodrigues,The president of ICYM central council.Elections were held only for the post of president as all other posts were unanimously elected. 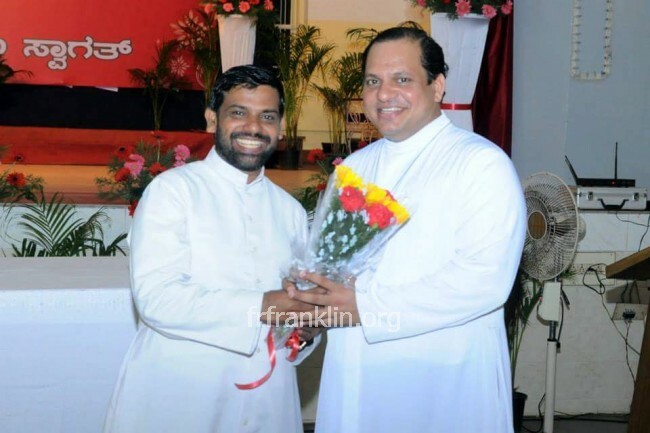 Rev Fr Vijay Victor Lobo and his team played the role of election commission. Afternoon session was graced by the prize distribution and valedictory ceremony. Ver Rev Msgr Denis Moras Prabhu,Vicar General of Mangalore diocese ,Ms Vijaya Wilfred,the Mayor of Mangalore Municipal corporation,Mr Raymond D’souza , The national advisor of ICYM, Rev Fr Wilson Dsouza,the parish priest of Bijai and the executive committee members of ICYM were present on the stage. Few achievers of ICYM were felicitated.on the occasion. Ms Venassia Rodrigues ,the secretary,presented the annual report,The outgoing president Melreeda Rodrigues thanked everyone for the support she received throughout the years, The executive committee also felicitated Rev Fr Rnald Dsouza,the Youth director of Magalore Diocese.Then 10 best units of diocese were presented the cup award. Winston and Robin compered. Following is the list of these units in the alphabetical order. Congratulations to the new office bearers and we wish them all the best. Earlier in the morning at 10am, ICYM National Youth Director Fr. 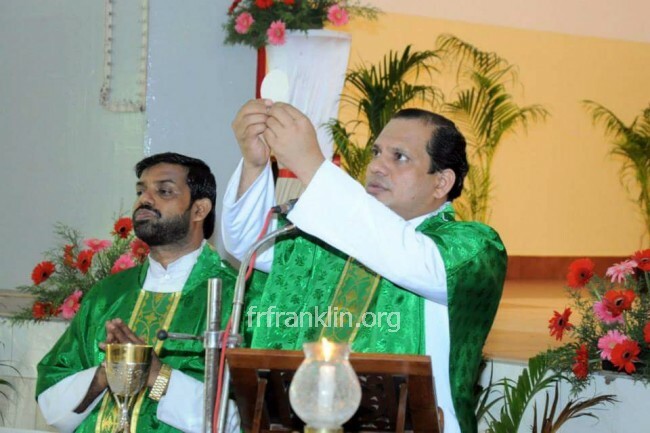 Franklin D'Souza offered Holy Mass and inaugurated the 68th GB. In his homily he stressed that our service is based on Gospel Values. Selfish nature, self centred activity and negative publicity is not for us. We have to keep up of our dignity as Christians and serve without discrimination.